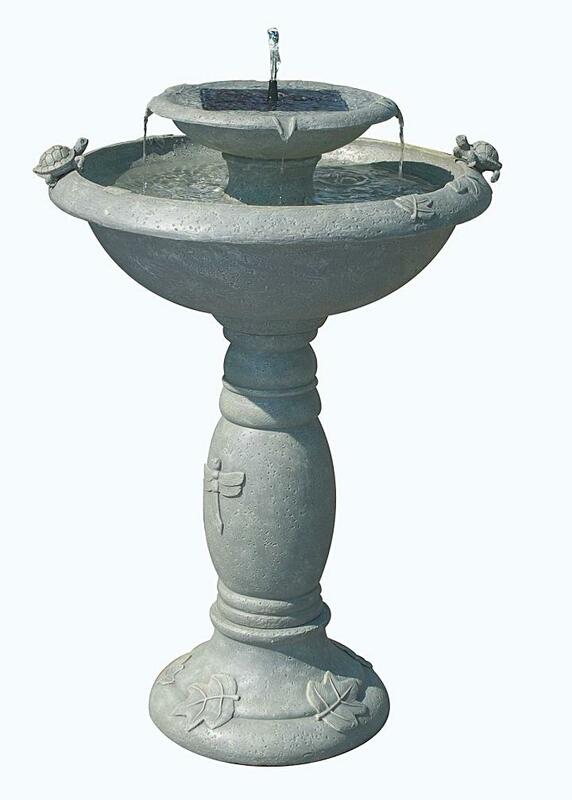 Country Gardens Two Tier Solar Fountain / Birdbath with Solar-on-demand feature. This two-tier fountain is definitely for the birds. 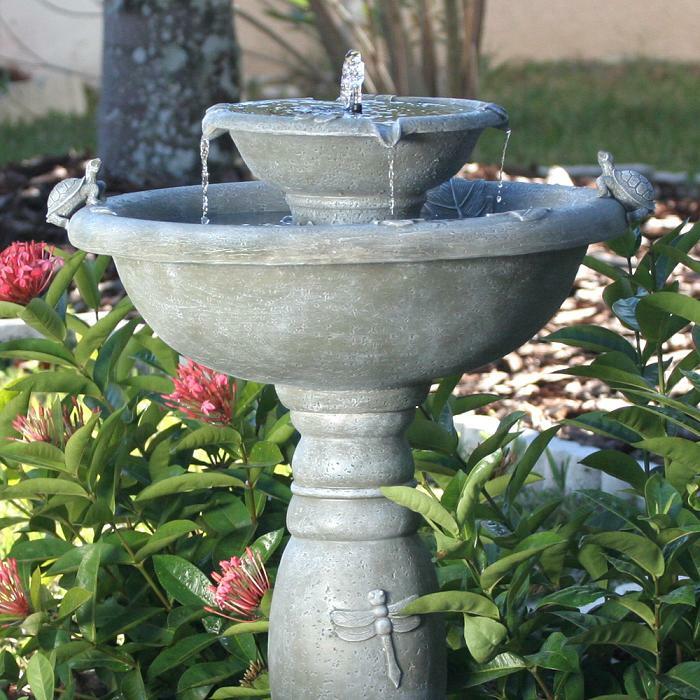 Direct sunlight transforms this large Fountain / Birdbath into a freestanding, recirculating fountain. 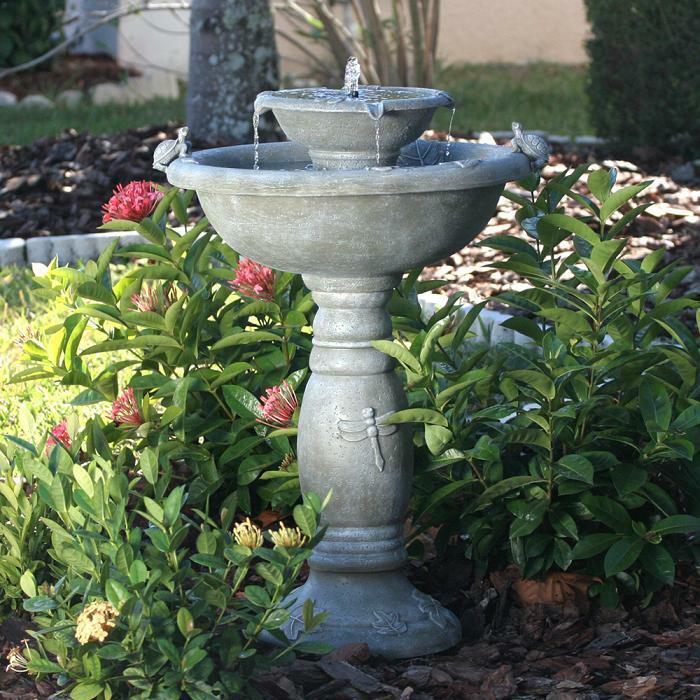 Birds and birdwatchers alike will enjoy this solar water fountain for seasons to come. 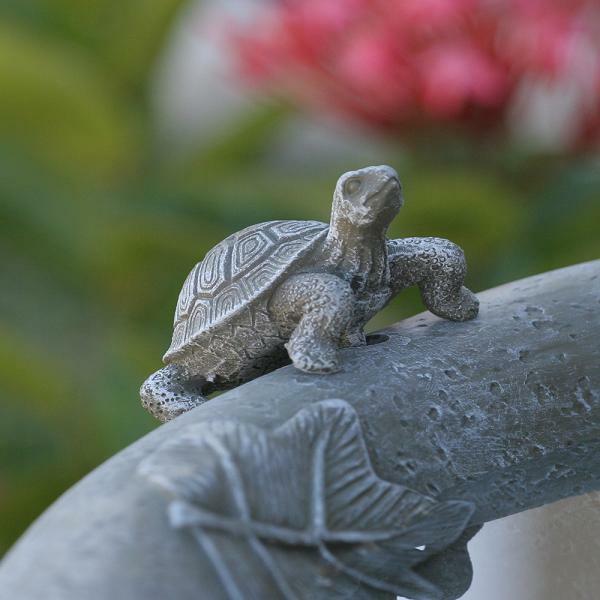 This solar fountain will create a relaxing atmosphere on your patio, deck, and balcony or in your garden. The Solar-on-demand feature will allow you to choose when you wish your fountain to work using an easy on/off switch on the solar panel. Operate daily and use our battery technology to provide consistent performances even cloudy weather, or turn it off to charge during the day for nighttime use. Battery will fully charge in 1 sunny day. Battery capacity for up to 6 hours of operation at night or on cloudy days.